Stay warm in our stylish, double-layered snoods this winter! 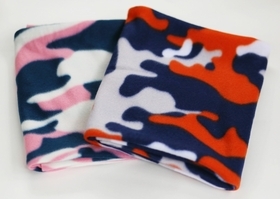 Handmade using soft fleece, each snood is reversible. An easy to wear pull over style, wear it as a scarf, fold it over for extra layers, or over the head to keep those ears warm. For a custom fit, please provide your dog's measurements. Handmade in the U.S.A.